Note: We have reached capacity and have moved on to a waitlist at this point. Thank you for your interest. If you register you will receive confirmation if/when a spot opens up. 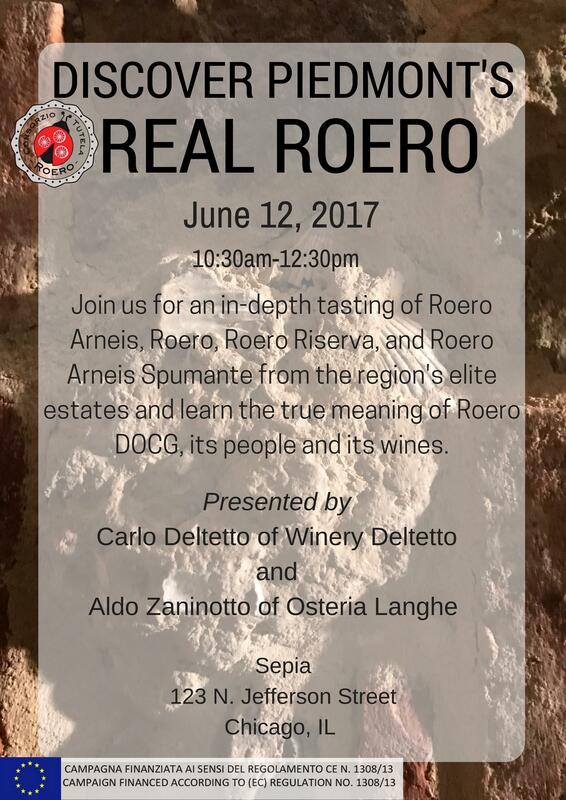 Join us for an in-depth tasting and discussion of Roero wines from Piedmont. Discover Roero Arneis and the Roero made from Nebbiolo in the most comprehensive tasting Chicago has ever experienced! The hour long seminar will be followed by a wine bar and light bites.